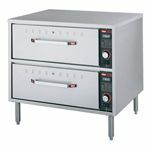 Warming Drawers are specifically designed to hold prepared food items such as appetizers, dinner rolls or even entree items in a convenient location where they can be quickly accessed regularly. 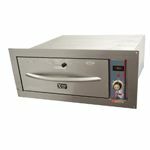 The drawers are capable of holding warm temperatures plus they quickly open and shut so you can grab your portioned items and leave the rest properly preserved until you need them. Ideal for holding meats, keeping them moist and hot. Multiple drawer models allow you to have several different items ready to go, such as different type of bread or rolls. Warming Drawers are available in either built in or freestanding styles.